Sayyed Nasrallah Promises Israelis with Game Changing Surprises! 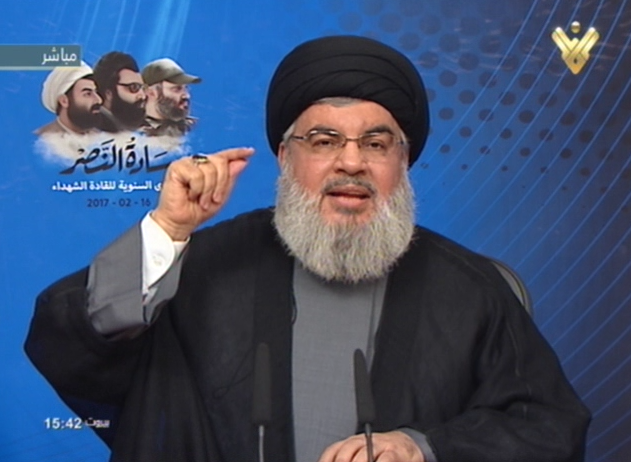 Hezbollah Secretary General Sayyed Hasan Nasrallah threatened the Israeli enemy with game-changing surprises should it launch any stupid war against Lebanon. 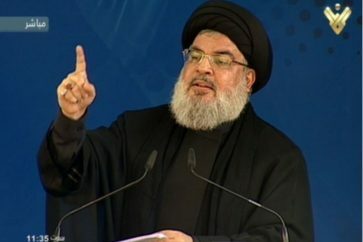 In a televised speech marking the Martyred Leaders Anniversary on Thursday, Sayyed Nasrallah vowed that Hezbollah was preparing for the worst adding that the resistance’s deterrence capabilities and steadfastness of its people are stopping the Israeli enemy from launching any war since 2006 victory. “We’re proud that the Zionist entity had put us on the top of their list of threats this year. Iran came second and the Palestinian resistance third. But it’s shameful that they didn’t consider any Arab regime as a threat,” Sayyed Nasrallah said, adding that since July 2006 war we were faced by threats of an Israeli war against Lebanon but the Israelis refrained from taking any action since then. The S.G. reassured Lebanese that any possibility of a future Israeli war is low, especially after some people believed that a US president like Trump would encourage Israelis to attack Lebanon. “There’re always political pretexts for a war against us, and an Arab cover is found today more than it was in 2006. The matter is that the Israeli is not sure of its victory in any future war and doesn’t need any US or Arab permission, meaning that the resistance has the required defenses and support from our people to deter it,” Sayyed Nasrallah said. Concerning the Ammonia threat, Hezbollah’s S.G. warned the Israelis that Hezbollah can reach Ammonia tanks anywhere. 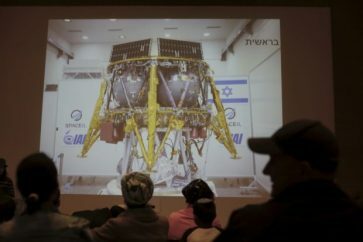 “The Israelis hurried to empty out its Ammonia container [in the northern occupied city of Haifa] of its toxic content after our threat to target it, but I tell them that we’ll target it wherever it’s taken to,” His eminence said, advising the Israelis to “not only evacuate the Ammonia tank from Haifa, but also dismantle the Dimona nuclear plant” from Negev. “The Israelis believe that we are serious with our threats and capabilities and that our actions speak,” Sayyed Nasrallah noted. His eminence reminded the Israelis of 2006 War when they thought they had enough intelligence about Hezbollah’s ammunitions and targets but were astonished with what happened back then. 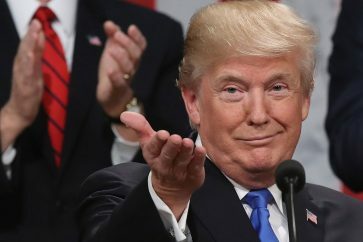 “In 2006 you had intelligence of our ammunition but you were astonished with what you saw after figuring out that you didn’t have enough information,” He said, promising them with surprises that would change the course of any war. “Circumstances have changed today and the resistance won’t stand in its place to protect itself,” Sayyed Nasrallah said. Sayyed Nasrallah said that in the meeting between Israeli Premier Benjamin Netanyahu and Trump, the latter dropped the US commitment to the two-state solution, which signaled the end to any ‘peaceful negotiations’ between Palestinians and Israelis. 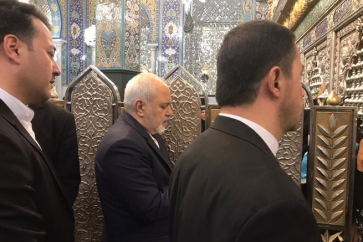 “Where is the Arabs’ position and their response to the aggressions of the Zionist enemy,” His eminence wondered, but the Arab answer, he said, is with more killings in more killings in Bahrain, Yemen and Syria, and with more conspiracies against Iran. “Circumstances are going to change, nothing remains as it is, there are schemes in the region that will be foiled and in the midst of conspiracies a resistance generation is to be born and achieve decisive victory,” Sayyed Nasrallah promised. Tackling the Yemeni conflict, Sayyed Nasrallah said the Israeli was a partner in the aggression against Yemen in addition to the US and Emirati support but added that the “steadfastness of the Yemenis is a myth, the crisis started two years ago with the hope it would take them only weeks to finish it but they were mistaken.” He said Saudi Arabia are bringing mercenaries from some countries to fight a proxy war in its war against Yemen, but the Yemenis are steadfast and firm in their resistance. “The people who say ‘Humiliation, how remote’ as their motto won’t be defeated,” His eminence assured. His eminence began his speech with saluting participators in the ceremony entitled “Masters of Victory” that was held in the hometowns of the martyred leaders in Jibsheet (the hometown of Martyr Sheikh Ragheb Harb), Nabisheet (the hometown of Martyr Sayyed Abbas Al-Mousawi) and Teir Dibba (the hometown of Martyr Leader Haj Imad Moughniyeh).